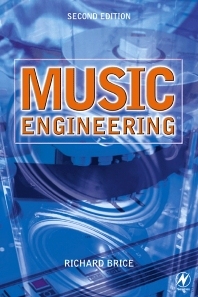 Music Engineering is a hands-on guide to the practical aspects of electric and electronic music. It is both a compelling read and an essential reference guide for anyone using, choosing, designing or studying the technology of modern music. The technology and underpinning science are introduced through the real life demands of playing and recording, and illustrated with references to well known classic recordings to show how a particular effect is obtained thanks to the ingenuity of the engineer as well as the musician. Written by a music enthusiast and electronic engineer, this book covers the electronics and physics of the subject as well as the more subjective aspects. The second edition includes an updated Digital section including MPEG3 and fact sheets at the end of each chapter to summarise the key electronics and science. In addition to instruments and recording technology, this book covers essential kit such as microphones, sequencers, amplifiers and loudspeakers.